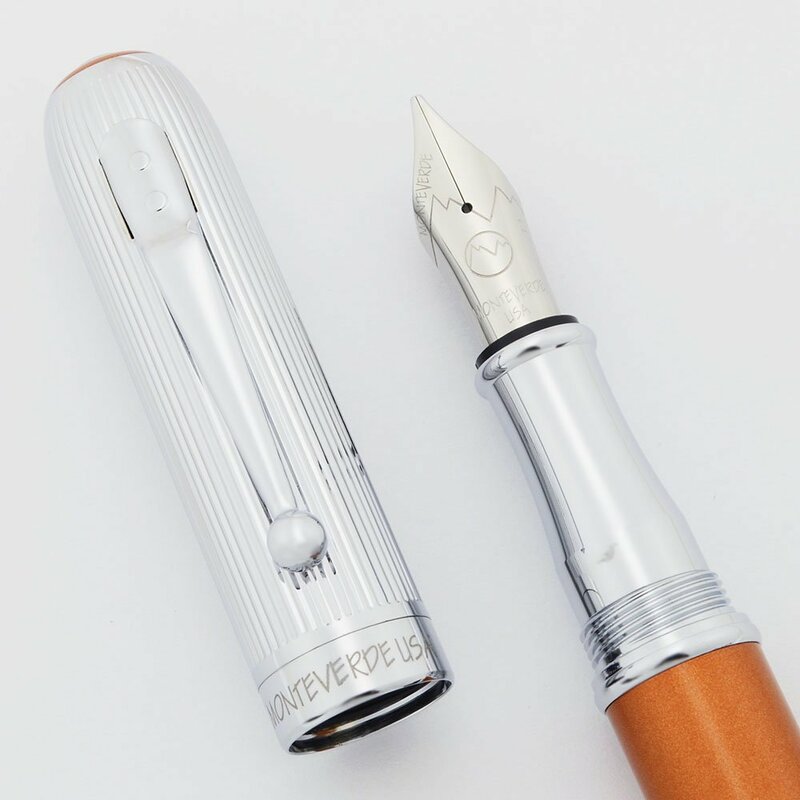 Monteverde's Rodeo Drive fountain pen in orange stardust with chrome trim. Cartridge/converter filler. 1.1mm steel nib. Mint condition in box. Type Cartridge/Converter Fountain Pen, working well. Manufacturer and Year Monteverde, made in USA -- 2010s. Filling System It takes international style cartridges and international threaded converters. A threaded converter is installed and two ink cartridges are included in the box. Color The barrel is the orange stardust color; it is a light copperish metallic color. The trim is chrome and includes the section, cap, clip, and the end piece of the barrel. There is a "Rodeo Drive" imprint on the cap band. Nib 1.1mm steel nib. You can view the nib size on the side of the nib. It takes a Monteverde nib unit and can be replaced with other Monteverde nib units. 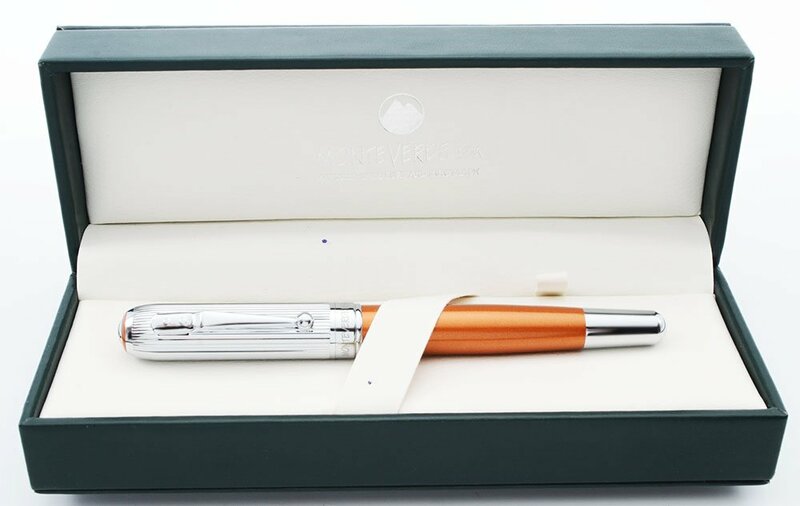 Condition Mint condition for this substantial, beautiful pen that comes in its original box and packaging. No cracks, chips, dents, scratches, or plating wear. No personalization. All imprints are crystal clear. We don't think the pen has been inked, but it's possible it was dipped.